Commissioned by the Scottish Brass Band Association for the 2007 Scottish Open Championship, Macbeth takes its’ inspiration from the Shakespeare play of the same name. Character portraits (Of the three witches as well as Macbeth himself), abstractions (The lament), and scenes (Macbeth’s final battle with Macduff) make up the nine sections of the piece. 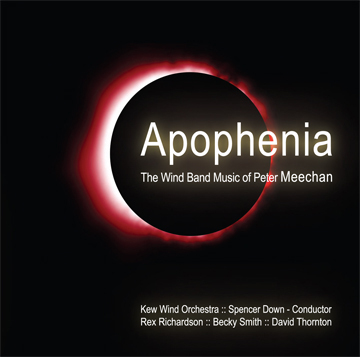 Macbeth was scored for winds in 2008, and premiered by the Kew Wind Orchestra, conducted by Spencer Down. The prophecies of the three witches are an integral part of the play, and in this opening section, these mysterious characters are represented by three different sections of music that introduces the listener to the musical material of the piece. Macbeth’s “Is this a dagger I see before thee” speech, where an imaginary dagger leads him to contemplate the pending murder, builds in intensity before the bell tolls at its’ conclusion – a sign from Lady Macbeth that Duncan is now alone. A character portrait of Macbeth – a fearless General who has led his armies to defeat foes from all over Europe. His ambition and flair that make him such a great General are also the characteristics that lead to his eventual downfall. Alone and mad, Lady Macbeth ponders all that has gone, before taking her own life. Although the play tells of Macbeth not feeling the pain of his wife’s death, this lament ponders not only her death, but the tale as a whole. It is in this final soliloquy that we see the ultimate tragedy of Macbeth – the realisation that his life is ultimately worthless. This acts as an prologue to section eight, restating the original “witches” music, before heading into Macbeth’s final battle. Macbeth’s final battle, where he locks swords with Macduff. Macbeth’s realisation that the witches have misled him comes all too late, as Macduff beheads Macbeth, fulfilling the last prophecy. Artists: Kew Wind Orchestra / Spencer Down - cond.